Leap, spring, splash and dive your way into water as your experience in sport reaches new heights. From the high boards to the side of the pool, diving offers plenty of room for you to improve as you twist and spin your way into the water. Dives are scored based on body position and entry to the water, so it really is a sport of technique. But we all have to start somewhere and you’ll quickly build up your fitness levels and skill to do more. There’s plenty of fun to be had when learning! It’s one of the closest feelings you can get to flying, so why not take the plunge? All you need is a comfortable swimsuit or swim shorts for diving. You might want to bring along a pair of goggles too, otherwise the chemicals in the water can make your eyes sore! 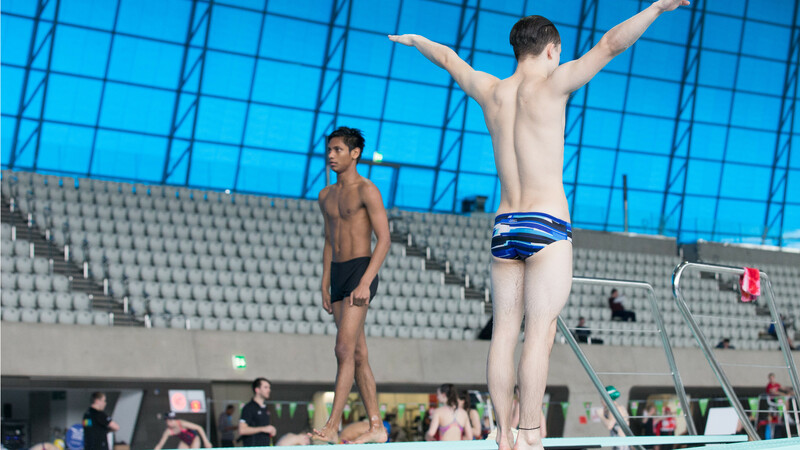 Learn more about diving with British Swimming.